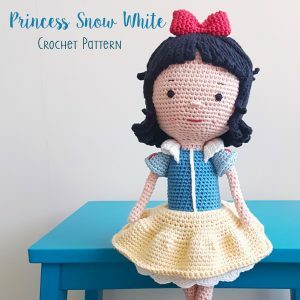 View cart “Snow White Crochet Pattern” has been added to your cart. 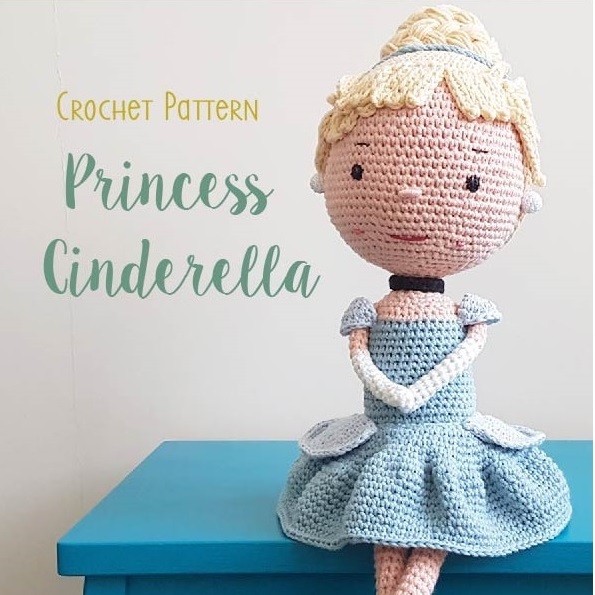 This is a CROCHET PATTERN and NOT a finished doll. 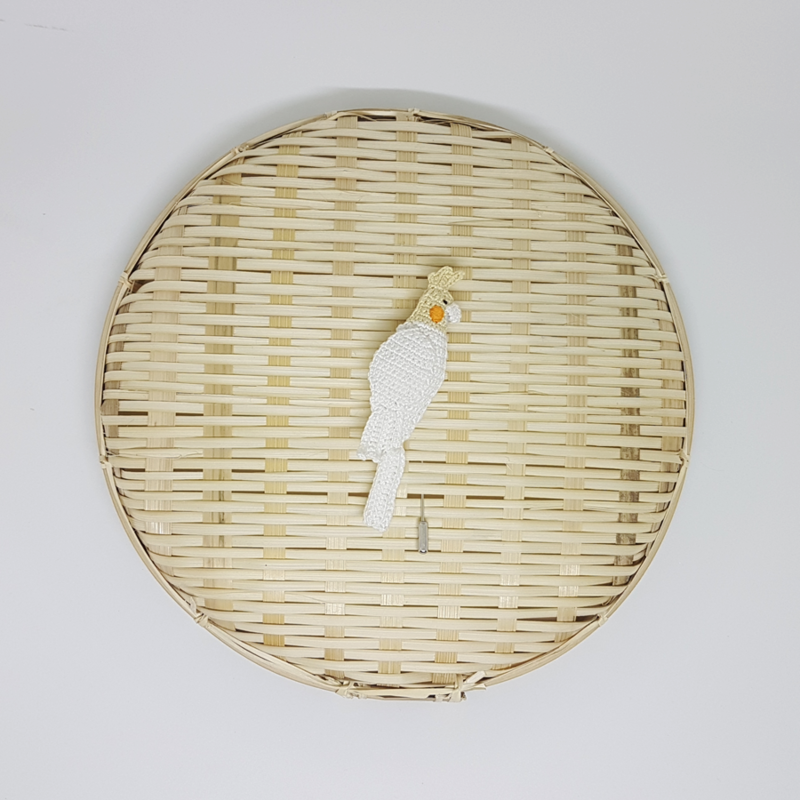 It is available for Immediate download after your kind support. 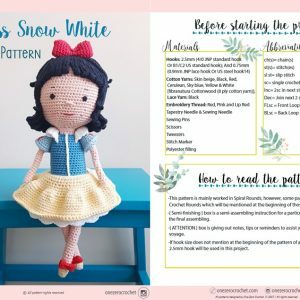 This pattern is suitable for crocheters who have basic crochet skills. 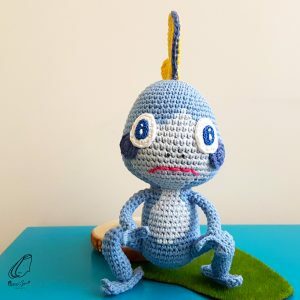 The final product is around 40cm tall. 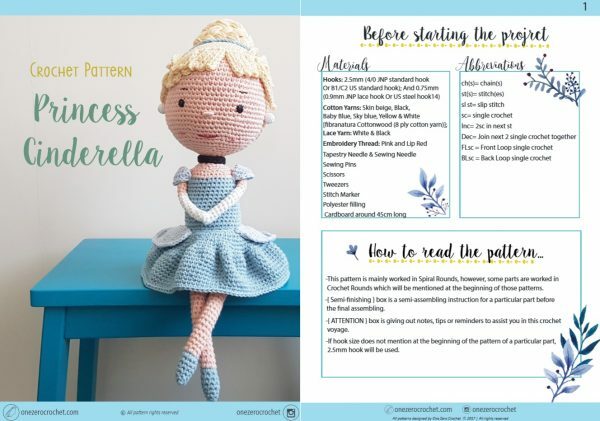 This is only a PDF CROCHET PATTERN and NOT a finished doll. 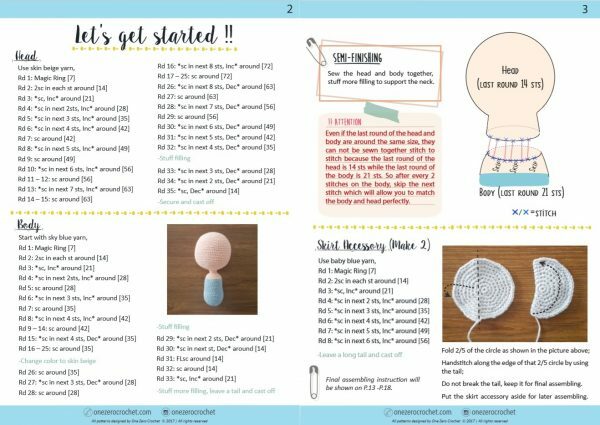 This pattern is suitable for crocheters who have basic crochet skills. 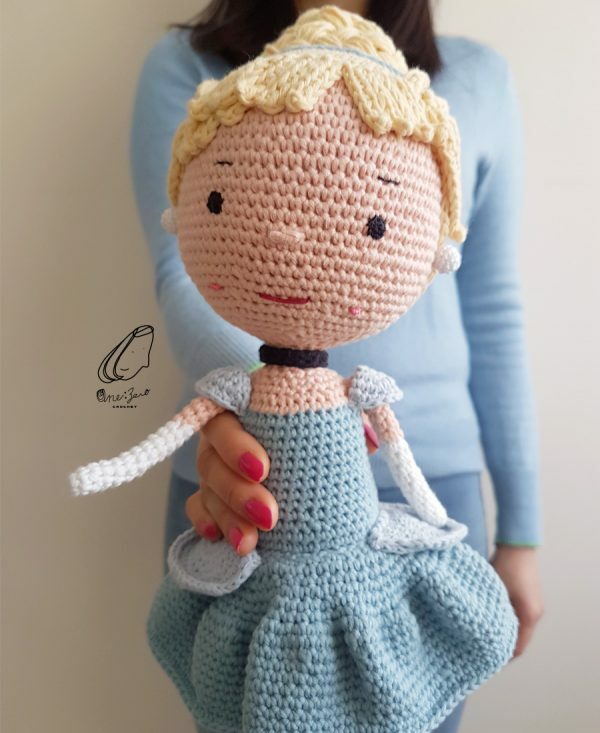 The 20-page detailed crochet pattern which includes step by step pictures and explanations to instruct you how to crochet this adorable doll. Addition reference pages also have been provided to guide you some basic crochet techniques. 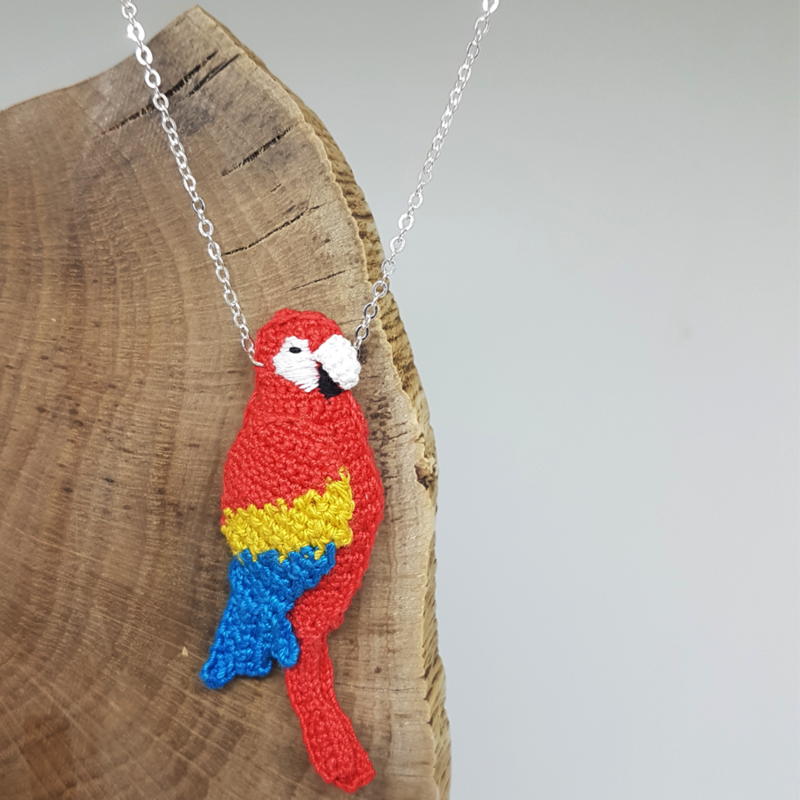 The pattern is written in English in US terminology. 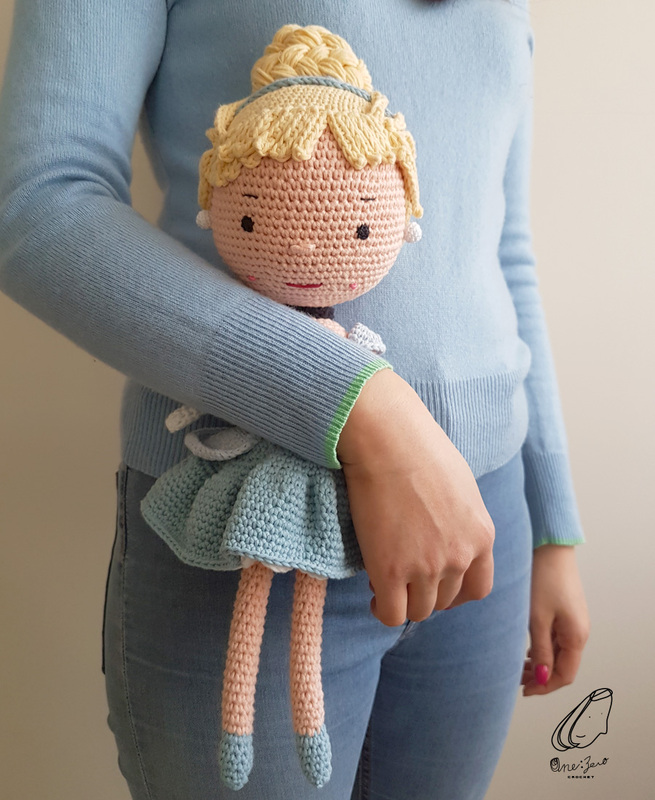 The finished doll is around 40 cm tall, good size for toddle cuddling. 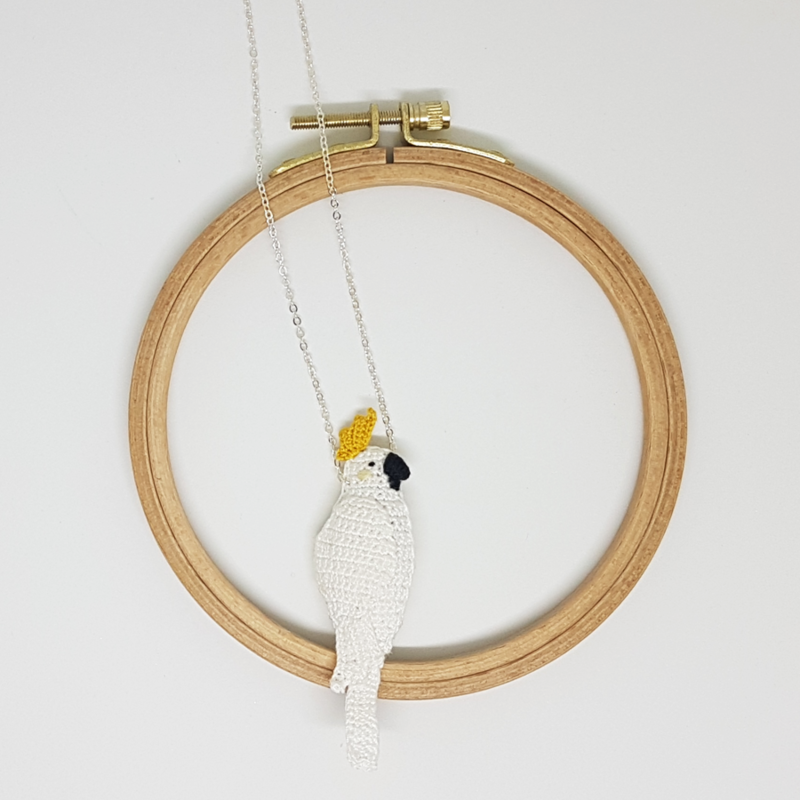 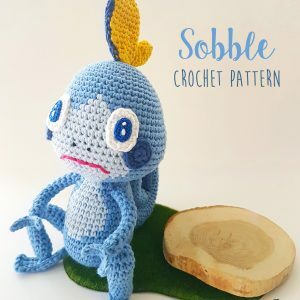 This pattern is designed by One Zero Crochet, please do not copy or use it for commercial reproduction without the permission of the pattern designer.